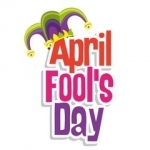 Were You Fooled On April Fool’s Day? Yesterday was April Fool’s Day and even though I didn’t partake in any pranks I did enjoy reading about all the pranks restaurants and celebrities where pulling off. It may have been funny to the Sorry singer but fans were not having it and quickly began calling him out on the prank. Then we have McDonald’s who introduced us to the McPickle yesterday. All I have to say is shame on you McDonald’s because I was ready to drive to the nearest McDonald’s and order two of these bad boy’s. 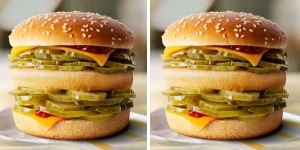 Despite being a prank a lot of people began calling on the fast food giant to add the McPickle to the menu. Lastly and for the record would have been the best news for everyone who’s not a Patriots fan, was Tom Brady announcing his retirement via Twitter. 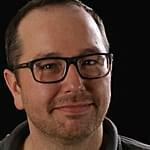 Turns out the jokes on us because the 42 year old QB will back for another season and it doesn’t look like he’ll be calling it quits anytime soon. Did anyone pull an April Fool’s Joke on you?